At least 16 labourers were killed and eight were injured after a truck carrying cement and fly ash overturned at Gandepalli in East Godavari district of Andhra Pradesh today. The accident happened 2 am this morning on national highway 214. The truck was travelling from Guntur to Vizag. The police have rescued 16 people and shifted them to Rajahmundry government hospital. "It appears to have been due to driver's negligence, probably because of sleeplessness. 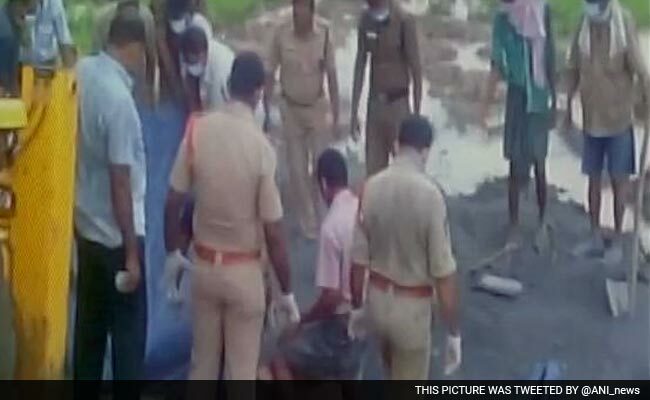 Both driver and cleaner are absconding,'' East Godavari district Superintendent of Police Ravi Prakash told NDTV. The victims, who worked in a palm plantation, had boarded the vehicle in neighbouring West Godavari district. The vehicle was coming from Dachepalli village in Guntur district. State Finance Minister Y Ramakrishnudu, who belongs to East Godavari, visited the spot and announced an ex-gratia of Rs. 2 lakh to the families of the deceased. Chief Minister N Chandrababu Naidu, Leader of Opposition in state Assembly Y S Jaganmohan Reddy and several other leaders expressed condolences over the death of the workers in the mishap.